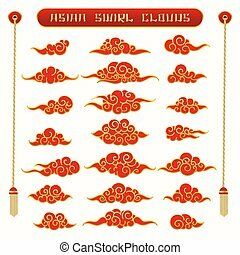 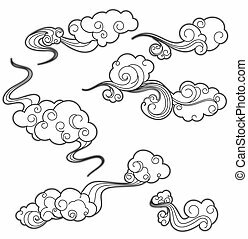 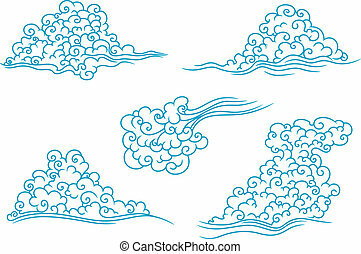 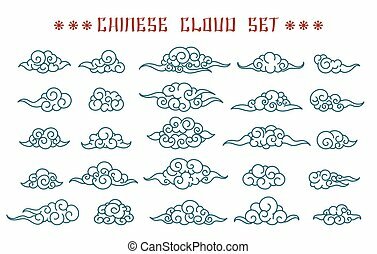 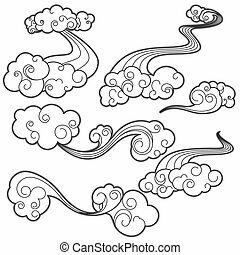 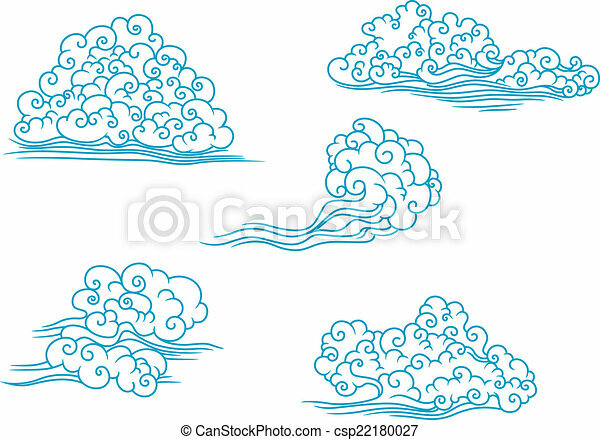 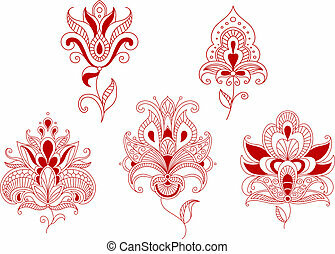 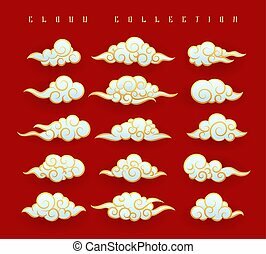 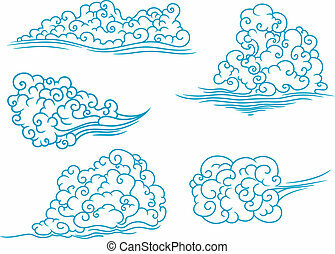 Curly clouds set in outline style for weather, decoration and meteorology design. 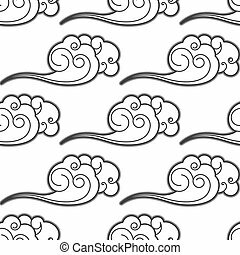 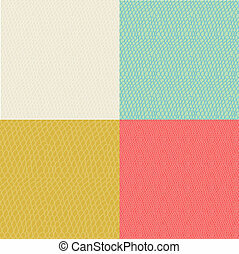 Set of colored wavy curly seamless textures. 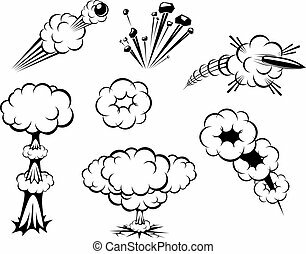 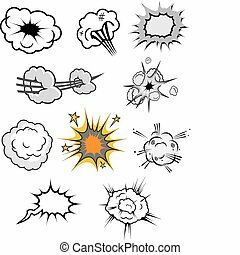 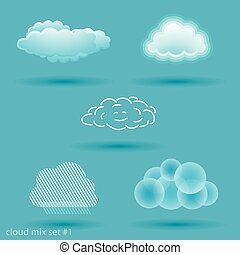 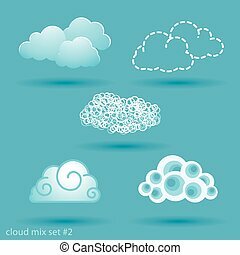 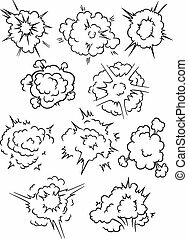 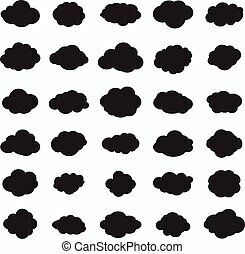 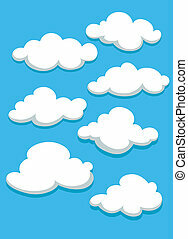 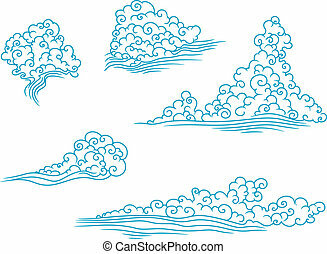 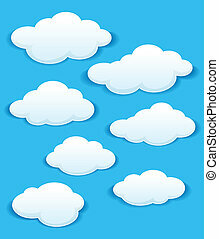 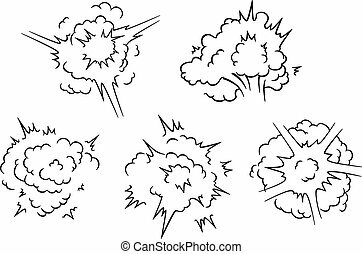 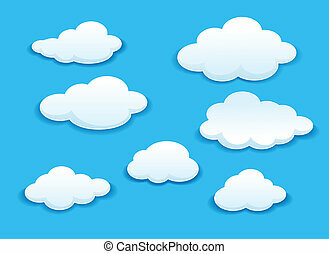 Collection of cartoon clouds in 3 color versions and silhouettes. 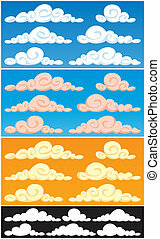 Each cloud consists of 2 colors only, so they are very easy to recolor.